Enjoy a drink in a typical "Ruin Bar"
With over a thousand years of history, the diverse and vibrant city of Budapest Hungary offers a wealth of UNESCO heritage sites that are sure to take your breath away. From the most beautiful Hungarian baths to top-rated Michelin restaurants Budapest has something to offer every visitor. This Central European capital city is an ideal destination for short weekend holidays and romantic getaways. 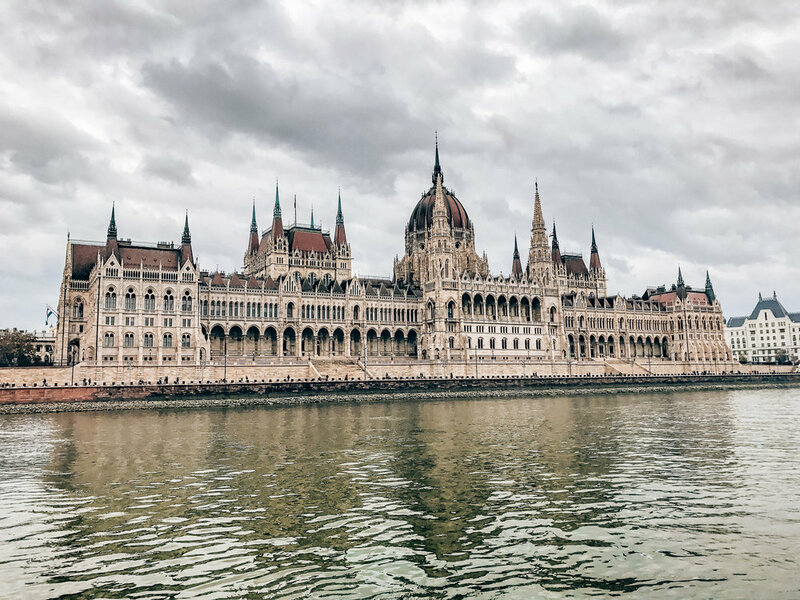 Here is an overview of all the must-see Budapest attractions including where to eat the best Hungarian food and the best places to visit in Budapest city. If you wish to visit Budapest in a day, it’s best to come up with a plan before you leave your hotel. To get a good feel for the city, visit both parts so that you don’t miss out on the major sights. Here is a brief itinerary that will help you explore the city in depth. After breakfast, pay a visit to Castle District. This district is situated at the end of Chain Bridge on the Buda side and it’s called Várnegyed. Nearby, stop by the 19th century Fisherman's Bastion to experience the panoramic views of the city. Tip: if you buy a Budapest City Card, you will have free unlimited access to all of Budapest’s public transport services as well as free entry or discounts to many museums and thermal baths. Once you get to Chain Bridge, you can take the funicular and get a closer view of this amazing bridge. To continue your one-day tour of Budapest, take the Castle bus or one of the underground lines to go to Central Market Hall for a spot of shopping or something to eat. St. Stephen’s Basilica is a 20-minute walk from the Central Market Hall on the north side of the city. This basilica is the tallest building in the city and provides fantastic panorama. Another convenient way to explore most of the sites in both Buda and Pest is by going on a bike tour or walking tour. If you still have a little time left in your day, head to a ruin bar to enjoy the finest Hungarian beer or Pálinka, a traditional fruit brandy before ending the night enjoying some live music in a trendy nightclub. After breakfast at one of our recommended restaurants, take the bus or tram to Buda, the most elegant neighbourhood on the city’s western bank. From there, you can reach one of the most medieval sites in the city, Castle Hill, by either taking the funicular or bus number 16. Once you reach the top of the hill, you will discover the UNESCO World Heritage site, Buda Castle, and its panoramic surroundings. It’s at this site where you can pay a visit to the famous Budapest History Museum and learn about the city's turbulent past. The next stop is Mathias Church and a visit to the 19th century Fisherman’s Bastion, from where you will enjoy the best views of the Parliament and the city. 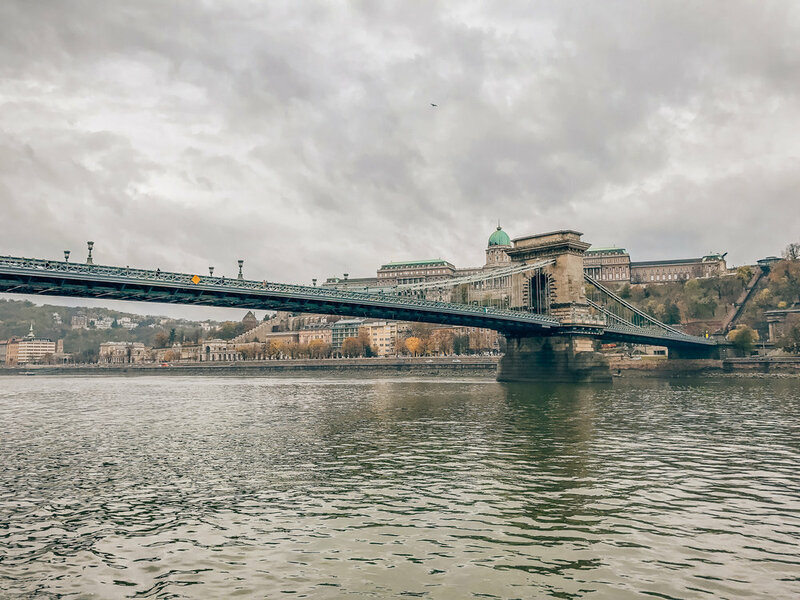 On the way back to Pest, take a walk down towards Chain Bridge, which is one of the biggest landmarks and the oldest suspension bridges in the city. 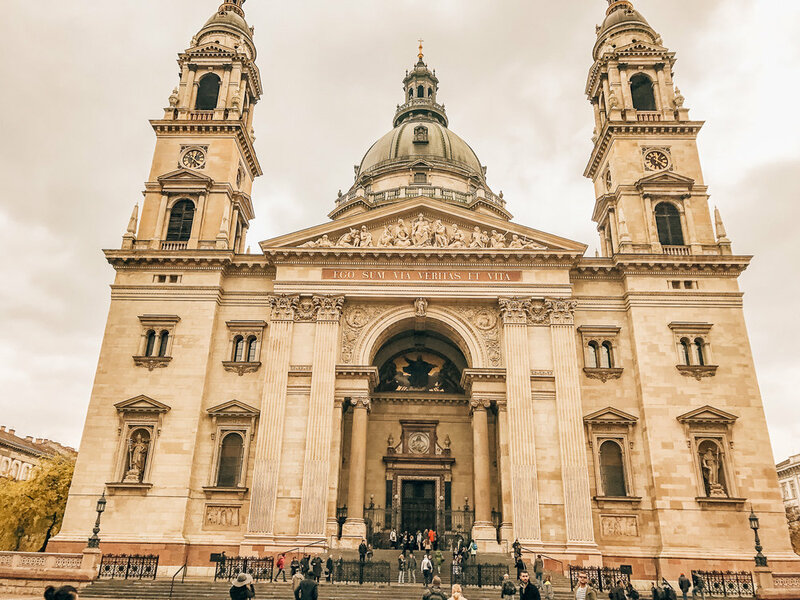 As you follow the road straight through Zrínyi Street, you will arrive at the symbolic St. Stephen’s Basilica, the largest cathedral in Budapest. It is free to enter and a must-see site. Afterwards, head to Vörösmarty tér, one of the main squares in Budapest and possibly the most elegant streets. Here you can shop at the most famous street or carry on walking towards the 9th District's Central Market Hall. This is the largest and oldest indoor market full of food stands with all types of dishes and products for sale. After you’ve explored the market, take the number 47 tram to the popular Deák Ferenc tér, one of the main central squares of downtown Budapest. Along the journey, you will pass the Great Synagogue and the Hungarian National Museum. In the evening, we recommend a visit to a nearby nightclub, such as Club Akvárium, which is located in Deák Ferenc tér, (see our list for the exact address). Today, you should head to the emblematic Heroes’ Square as early in the morning as possible. Use the metro line M1. Heroes’ Square is one of the city’s main squares and boasts many impressive statues that commemorate the Hungarian heroes who fought for the country’s independence. The Museum of Fine Arts is located at the Heroes Square and it is possibly one of the best museums of the city. Spend an hour exploring the exhibitions before leaving for a spot of lunch at one of our recommended restaurants. The entrance fee for this museum is quite cheap and it’s well worth a visit. After you’ve had your lunch, take a stroll towards City Park, which is close to the city centre and then towards the Vajdahunyad Castle until you reach Széchenyi Thermal Bath, the largest spa in Europe with 21 pools. Here you can take a relaxing bath in one of Budapest's best thermal springs. If you have enough time left in your day, spend the rest of the evening enjoying a drink or two in a ruin bar. Hungary’s national dish, Goulash, is a cross between a meat stew and soup. It is made with slow-cooked carrots, beef, onions, and of course, paprika. Another famous Hungarian dish is called Fisherman’s soup, which is similar to Goulash and cooked in a clay pot on an open fire. This soup contains fish and lots of paprika. Chicken Paprikas is another popular Hungarian dish with many variations, and as the name confirms, it has plenty of paprika. The following list contains the restaurants that serve traditional Hungarian dishes including Goulash. Hungarikum Bistro - address: 1051 Bp. Steindl lmreu. 13. Goulash and pork dishes with live traditional Hungarian music. Matyas Pince Restaurant - address: 1056 Bp. Marcius 15. Ter 7. Very authentic Hungarian restaurant in an original beer house building. Budapest Bistro - address: 1054 Bp. Vecsey u. 3. Hungarian restaurant with state-of-the-art wine cellar, live music and piano bar. Voros Postakocsi address: 1092 Bp. Raday u. 15. Restaurant with large windows and formal interior, serving authentic Hungarian cuisine for reasonable prices. 100 Years Old Restaurant - address: 1052 Bp. Piari sta u. 2. This is the oldest restaurant in Budapest that opened in 1831. Serves Hungarian and international cuisine. Gundel Restaurant - address: 1146 Bp. Gund el Karoly ut 4. Formal restaurant with gourmet Hungarian dishes, live orchestra & folk dancing. Foreign and local celebrities are often seen dining here. Muzeum Café and Restaurant - address: 1088 Bp. Muzeum krt. 12. Located in downtown Budapest, this restaurant serves contemporary international and traditional Hungarian dishes. Fakanal Restaurant - address: 093 Bp. Vamh az krt . 1-3. Located in Central Market Hall, limited seating space and often crowded. Serves goulash, stuffed cabbage, and other Hungarian dishes. Menza - address: 1061 Bp. Liszt Ferenc ter 2. Traditional Hungarian dishes. Best to book in advance as the restaurant gets very busy in the evenings. The menu includes both local and international dishes. La Pizza di Mamma Sofia - address: Kiraly utca 20, Budapest 1061. Serves Italian-style pizzas for eat in or takeaway. Shalimar India Étterem - address: Dob utca 53, Budapest 1074. Indian food with a great lunch menu for just 3.50 euros. Zeller Bistro - address: 1077 Bp. lzabella u. 38. This is a highly popular downtown bistro in Budapest that’s most favoured by tourists. It serves modern Hungarian cuisine with locally produced wines. Halaszbastya Restaurant - address: 1014 Budai Var, Bp. Halaszbastya Eszaki Hfradastorony. Serves classy Hungarian food with the best view over the river Danube. Columbus Restaurant & Pub - address: 1051 Bp. Vigad6 u. 4. Serves Hungarian dishes in wood-panelled rooms. It also has a terrace with beautiful river views. Kispiac - address: 1054 Bp. Hold u. 3. Authentic Hungarian food with fresh ingredients. Everything is homemade from jams to pickled vegetables. The grilled meat and all the roasts are cooked on the spot. Borkonyha - address: 1051 Bp., Sas u. 3. French-style bistro with modern cuisine and a selection of over 200 Hungarian wines. It’s just a short walk from the iconic St Stephen's Basilica. Fausto's - address: 1072 Bp. Dohany u. 3. This is a family operated Italian restaurant offering authentic Italian cuisine. Its fish, pasta, and meat dishes are homemade with fresh local ingredients. Bock Bistro - address: 1073 Bp. Erzsebet krt. 43 – 49. A contemporary bistro with Hungarian tapas and local wines. Diners can enjoy live accordion music in the evenings. The Big Fish Seafood Bistro - address: 1061 Bp. Andra ssy ut 44. Serves fresh seafood. Costes Restaurant - address: 1092 Bp. Raday u. 4. Located in downtown area of Budapest, this Hungarian restaurant serves gourmet fish, meat dishes, and local wines. TG Italiano Restaurant - address: 1051 Bp. Okt6ber 6. u. 8. A trendy eatery with creative Italian dishes, outdoor tables and an upstairs bar. It offers a stunning view of the Basilica. Trattoria Pomo D'Oro - address: 1051 Bp. Arany Janos u. 9. Homely restaurant serving Italian dishes and stone-baked pizza. It also has a courtyard. Very popular in the area near the Basilica. KARAVÁN Budapest - address: 1075 Bp., Kazinczy u. 18. Located next to Szimpla, KARAVÁN has numerous stalls in the city where you can enjoy mouthwatering street foods, such as burgers and sandwiches. Zing Burger Food Truck - address: Széll Kálmán Square, Gozsdu Udvar, Karavan Udvar, Király Street. Juicy patties with authentic sauces at affordable prices. There is also a food truck at various locations. Bors Gastrobar - address: 1075 Bp., Kazinczy u. 10. Good quality sandwiches at reasonable prices. Go-Free Bar - address: 1074 Bp., Dohany u. 39. Belgian waffles, milkshakes, interesting desserts. El Rapido - address: 1075 Bp. Kazinczy u. 10. Small Mexican buffet restaurant, freshly made tortillas and fajitas. La Pizza Di Mamma Sofia - address: 1061 Bp. Kiraly u. 20. Takeaway pizzeria. Ramenka - address: 1075 Bp. Kazinczy u. 9. Authentic Japanese cuisine in a simple setting. Big portions. Funky Pho - address: 1066 Bp. Mozsar u. 7. Vietnamese fast food casual restaurant. Dishes are gluten, lactose, and MSG free. Meat and Sauce - address: 1065 Bp. Nagymezo u. 34. This restaurant is close to the Opera House. Amazing sandwiches with unique fillings. Buddha Mini Thai Wokbar - address: 1077 Bp. Wesselenyi u. 18. Healthy Asian food, including sushi and Thai green noodle soup. Espresso Embassy - address: 1051 Bp. Arany Janosu, 15. If you love coffee, you should definitely pay a visit to this popular café. It also serves delicious pastries. Szimpla Farmers' Café - address: 1075 Bp. Kazinczyu, 7. (Kazinczy Street) All the ingredients of this rustic café are locally sourced from farmers. It has a daily menu of sandwiches, pastries, and coffee. One More Café - address: 1075 Bp., Dob u. 16. (Gozsdu yard) Permanantly closed. Apacuka Café - address: 1065 Bp. Nagymezo u. 54-56. This restaurant is in a laid-back setting and offers premium quality food and drinks. Central Café - address: 1053 Bp. Karolyi u. 9. Founded in 1887, it is one of the oldest eateries in Budapest. It boasts high ceiling, marble tables, and balcony. My Little Melbourne Coffee and Brew Bar - address: 1075 Bp. Madach lmre ut 3. (Madach Square) This eatery was named after a memorable holiday to Melbourne, Australia. The 35 sqm café mainly focuses on classic espresso, but it also serves fruit juice, cakes, sandwiches, and croissants. Warm upCafé - address: 1072 Bp. Nagy Diófa u. 26. This unique cocktail bar and café is located in the highly popular party district of Budapest. There is no cocktail menu as the drinks are tailor made to the guests’ tastes. Blue Bird - address: Dob u. 16, 1072. Brunch pancakes, cheesecake, sandwiches, a great place for breakfast at the Jewish Quarter. Sarki Fuszeres Deli and Café - address: 1137 Bp. Pozsonyi ut 53–55. A cosy shop and café serving freshly prepared ham and cheese slices with different bread options spread with lemon jam, olive oil, herb butter, and fried eggs. A great and fillingbrunch option. Pöttyös Bögre Bisztró - address: 1061 Bp. Paulay Ede u. 8. Close to St. Stephen’s Basilica in Pöttyös. This bistro's breakfast selection includes huge sandwiches and deeply filled bagels. More than 4 types of alternative milk to choose from. Zoska - address: 1053 Bp. Ferenczy Istvan u. 28. This is a newly establishedbreakfast café. Aside from serving classic breakfasts like scrambled or fried eggs, crispy sausages and sandwiches, it also offers American pancakes with freshly made syrup or jam. Muvesz Café - address: 1061 Bp. Andrassy ut 29. Built in 1898, this cake shop also has another branch in Kavehaz, which is the nearest place to the Opera House. BriósCafé - address: 1137 Bp., Pozsonyi ut 18. This is one of the most popular breakfast restaurants on Pozsonyi Street within the 8th district, where the food selection varies from season to season. Anker Klub - address: 1062 Bp. Anker koi 1-3. Simple European breakfast menu plus lounge DJs and live music. Keksz - address: 1075 Bp. Madách tér 2. 'Biscuit' is a café, restaurant and at the same time a party venue in one. It is a new and fashionable bistro that’s well located in the 7th district at Madách Square. You can enjoy breakfast, lunch and dinner with big portions at modest prices. Wiener Salon - address: 1082 Bp. Corvin Setany 2./b . Viennese breakfast menu with own roasted coffee. Natural ingredients and traditional family recipes. Le Petit Bistro - address: 1065 Bp. Hajos u. 26./b . This is a very small and cosy French bistro, just a few minutes’ walk from Szabadság Square and the Hungarian State Opera. Panna Cotta is one of its signature desserts. Stika - address: 1072 Bp. Dob u. 46./ a. This small breakfast bistro on District 7 serves food daily until 6pm. The menu includes poached eggs with crispy bacon, eggs Benedict, and pancakes smeared in maple syrup. A night out in Budapest is never dull or boring. The Hungarian capital is a highly popular tourist destination both during the day and night. It offers a variety of ways to spend an evening in the city thanks to its famous ruin pubs. Szimpla Kert is the original birthplace of ruin bars, and it can get very busy on weekends. Budapest’s thermal baths receive lots of tourists who love the spa parties or better known as Sparty. This is a unique opportunity to enjoy the live DJs performing and dancing to the amazing light shows at the historic thermal spa springs. These parties are certainly one of the most unique types of celebrations in the city and a perfect way to get your evening off to a good start. Another great pastime for evenings is to participate in a game at an escape room. Budapest offers plenty of options when it comes to choosing the best escape games in themed rooms. There are also plenty of nightclubs in the city to suit both the young and the old. No matter which season of the year you choose to visit Budapest, you are sure to find vibrant clubs offering a wide range of music genres. For an ultimate night out, check out our recommended list of clubs, bars, thermal baths, and ruin pubs in Budapest. Budapest ruin pubs have been around for many years since the famous Szimpla Kert was founded. These pubs have evolved in the past 15 years thanks to their popularity amongst tourists. In fact, some people come to Budapest especially to have a drink in one of these crumbling pubs. As you take a walk through the Jewish Quarter, you will come across these pubs on the 7th District. 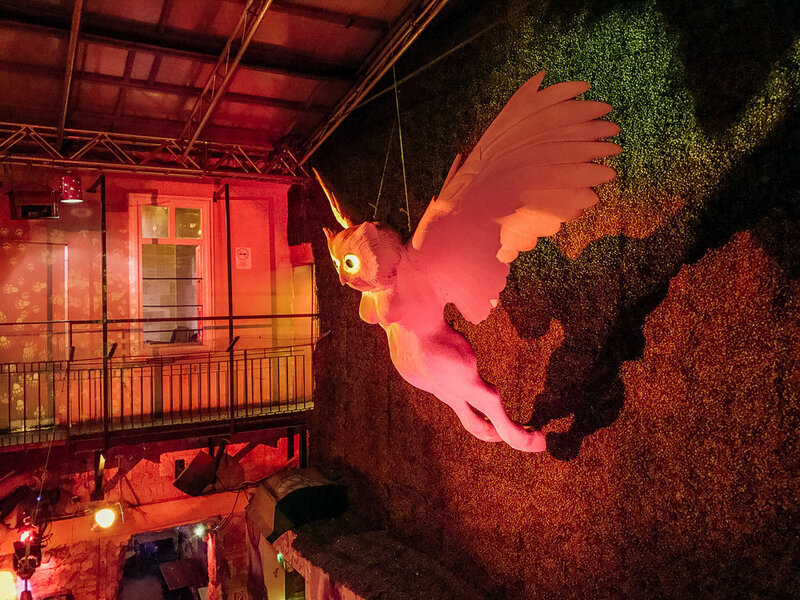 They are located inside the ruins of abandoned buildings and very much part of the city’s lively nightlife. If you don’t want to miss out on this unique experience, take a look at our top list of the best ruin bars Budapest has to offer. Szimpla Kert - address: 1075 Bp. Kazinczy u. 14. (Kazinczy Street) This huge ruin pub offers music, mismatched décor, a Sunday’s market, and also serves food in one of the most famous streets of Budapest. It’s the very first ruin bar of the country. Fogas haz and Fogas Kert - address: 1073 Bp., Akacfa u. 51. (Akacfa Street) This ruin bar is also a disco situated in the centre of Budapest with different rooms for music, food, activities, and much more. Kuplung - address: 1061 Bp. Kiraly u. 46. (Kiraly Street) A vibrant and lively pub in an old repair shop with live music bands and half price cocktails. It is located in the Jewish Quarter. Fekete Kutya - address: 1074 Bp. Dob u. 31. (Dob Street) Located in the Jewish District, this cosy pub offers food and drinks at reasonable prices. Popular with both tourists and locals. Instant - address: 1065 Bp. Nagymezo u. 38. (Nagymezo Street) This huge pub is the biggest drinking complex in the city that was originally 2 houses converted into a pub. There are 6 bars in total and 3 dance floors with garden. Anker't - address: 1061 Bp. Paulay Ede u. 33. (Paulay Ede Street) This is one of the biggest seasonal downtown pubs set in the outdoors offering cocktails, food, and live music. Ellato Kert - address: 1075 Bp. Kazinczy u. 48. (Kazinczy Street) A garden pub with an authentic ruin-bar vibe located on the 7th District. It serves Mexican tacos and beer. Kőleves Kert - address: 1075 Bp. Kazinczy u. 37. (Kazinczy Srteet) Located on the 7th District, this laid-back outdoor ruin bar is a hidden treasure in the heart of the Jewish Quarter. It is child friendly and a typical meeting place for students. Grandio - address: 1075 Bp. Nagydiofa u. 8. (Nagy Diofa Street) A popular ruin bar with a courtyard. Also serves food and there is a ping pong room on the ground floor. Telep - address: 1075 Bp. Madach lmre ut 8. (Madach Square) This art gallery is also a ruin pub and an urban meeting point. It is set on three floors with workshops and art exhibitions to enjoy. 400 Bar - address: 1075 Bp. Kazlnczy u. 52. Serves Balkan food and offers nightly DJ music. This bar is must more spacious than most other drinking venues in the city with both outdoor and indoor seating. Aquarium Club - address: 1051 Bp. Erzsebet ter 12. (Elisabeth Square) This is a lively club and bar with 1300-capacity, where youngsters can get together in downtown Budapest. There is always a great concert going on here. It is located right in the city centre. 360 Bar - address: 1061 Bp. Andrassy ut 39. (Andrassy Avenue), this is an iconic rooftop terrace bar with panoramic views over the city, including St. Stephen’s Basilica, the Parliament Building, and the Citadel. Bob - address: 1051 Bp. Szechenyi Istvan ter 7. (Bacardi Original Bar) is a small bar located close to the Basilica and enhanced views of Buda. Suitable for both the young and middle-aged. Divino Wine Bar - address: 1051 Szent lsvan ter 3. (Basilica); 1075 Kiraly u. 13. (Gozsdu Yard) This is one of the newest wine bars in Budapest located opposite the Basilica. You can sample the best Hungarian wine here. Gozsdu Sky Terrace - address: 1075 Bp. Hollo u. 6. (Gozsdu yard) This is a rooftop bar offering great views of downtown Pest and beyond. Kadarka Bar - address: 1061 Bp. Kiraly u. 42. (Kiraly Street) There are two venues in Dohány utca and Király utca in the downtown part of the city. A cosy place for an informal get-together with friends. Mazel Tov - address: 1072 Bp. Akacfa u. 47. (Akacfa Street) This is an upscale bar located in the Jewish Quarter of the city. It also serves Israeli food. Platz - address: 1051 Bp. Szent Istvan ter 4. (Basilica) Offers food, wine, and cocktails. Centrally located near the famous St. Stephen's Basilica. Spiler - address: 1075 Bp. Kiraly u. 13. (Gozsdu yard) This bar offers quality street food in a laid-back environment. A unique venue in the heart of the city. lnnio Wine Bar - address: 1051 Bp. Október 6. u. 9. (Basilica area) A refined selection of wine in a newly established bar. It also serves Hungarian cuisine. Mika Tivadar - address: 1075 Bo. Kazinczy u. 47. (Kazincty Street). This is a club and bar where you can dance to live music and drink every single night. Located in a modernised Art Nouveau building. Kozpont - address: 1075 Bp. Madach lmre ut 5. (Madach Square) A spacious bar with a refined design situated in the Jewish Quarter. It’s the hangout place of journalists, fashion models, and writers. Tesla Budapest - address: 1075 Bp. Kazinczy u. 21. (Kazinczy Street) This is one of the biggest clubs in Budapest and can accommodate up to 900 people on the ground floor. On the top floor, guests can enjoy film screenings and theatrical performances. Brklyn Bar - address: 1075 Bp. Kazinczy u. 48. (Kazinczy Street) Inspired by Brooklyn in New York, this hip club is full of vibrancy and colour. It is also a restaurant with bistro dishes. Otkert Club - address: 1051 Bp. Zrinyi u. 4. (Basilica area) This crowded and informal bar/club is situated in a renovated 19th century building. It has open-air dance floors and is one of the most popular discos in the city. It has local DJs and live music. Hello Baby Bar - address: 1062 Bp. Andrassy ut 52. (Oktogon) A rustic and elegant club located in the famous Andrássy Avenue. Bad Girlz - address: 1051 Bp. Szechenyi Istvan ter 11. (Basilica area) All the bartenders are female and they dance on the bar table. Super cool club to spend an evening at. Budapest has long been the central hub of thermal springs since the 13th century. The healing waters of these hot springs are known worldwide and that’s the reason why they attract so many visitors every year. If you are looking for a natural remedy to ease your health conditions, or you just want to unwind after a long day of sightseeing, then you will find our recommended list of Budapest hot springs useful. Szechenyi Bath - address: 1146 Bp. Allatkerti krt. 9-11. (Varosliget). This is the largest medicinal hot spring in Europe and definitely one of our favourite baths. It is open all year round and located on the Pest side of the city. Rudas Bath - address: 1013 Bp. Dobrentei ter 9. This is a thermal and medicinal spring first built in 1550. You can find a new wellness centre and saunas as well as an amazing rooftop pool with great views. It is the most popular medieval Turkish bath in the city. Gellért Baths - address: 1118 Bp. Kelenhegyi ut 4. This thermal bath is one of the most famous Art Nouveau springs in Europe. It was founded back in 1918 and there are ten pools in various sizes and temperatures. It is open every day from 6 in the morning to 8 in the evening. Lukacs Bath - address: 1023 Bp. Frankel Leo u. 25-29. One of the most historical springs in the country located in the centre of Budapest. It was built in the 12th century and thoroughly renovated and modernised at the end of the 20th century. Király Baths - address: 1017 Bp. Fő u. 84. Built in the second half of the 16th century, this thermal bath is located on the Buda side of the city. You can pay a flat fee to access all the 4 baths. This spa is one of the most authentic hot springs originating from the Ottoman Empire era. The Royal Palace was built in the 13th century and extended a century later. This UNESCO World Heritage site has become the biggest Gothic palace of the Middle Ages. Several museums and government buildings can be found in this huge palace. Citadel is a 19th century fortress situated on top of the iconic Gellért Hill. It is a UNESCO World Heritage site and has since been turned into a tower. This symbolic fortification offers one of the most beautiful views over the Danube River and is a highly popular attraction among tourists. One of the most elegant pedestrian areas in Budapest, Vörösmarty Square is home to the Millennium Underground and the annual Christmas Markets. Perhaps its biggest attraction is the well-known Gerbeaud Café, which has been around since 1870. The very first metro line in continental Europe was opened in the Millennium Underground in 1896. Visitors can explore the history of Budapest’s metro at the Underground Railway Museum, which houses many abandoned metro cars and railway tracks. This historic site is where the first Roman ruins were discovered back in 1778. These remains were identified shortly after as the Roman city of Aquincum. The site is located in Buda’s oldest part, Óbuda. This is a historical building located on the 7th district. It is the biggest synagogue in Europe and the 2nd largest in the world. Up to 3,000 people can be seated here. There are frequent Jewish Heritage tours arranged for visitors of this synagogue. The Broadway in Budapest is a kilometre-long street full of exquisite theatres and the famous Moulin Rouge nightclub plus plenty of great restaurants. This Neo-Renaissance opera house is situated in the central part of Budapest and considered as one of the best in the world in terms of its acoustics quality. The auditorium can seat up to 1,200 people. Visitors can tour the entire Opera House during the day and get to know about its stunning architecture before enjoying an evening performance. This bridge is one of the biggest and best known Budapest landmarks that was completed in 1849. It spans the river Danube between the east and west sides. Chain Bridge was the first suspension bridge built across the Hungarian side of the river Danube. To experience the communist era, Memento Park is the place to visit. This site is full of tall statues and memorials, where visitors can take a look at the statues of Lenin and Stalin as well as watch a spy training video. One of the most iconic communism symbols in this park is the Trabant 601 car. Hop inside this vintage car and get a feel for the Eastern Bloc. For an ultimate panoramic experience of Budapest, visit the terrace of the Fisherman’s Bastion. This site was built during the 19th century and features pointed turrets and fairy tale towers. It is situated on the Buda side of the Danube, close to Castle Hill. Castle Hill towers over the Danube and is home to many of the city’s most important medieval museums and monuments. One of the most impressive medieval buildings is Buda Castle, built in the 18th century. This castle has 200 rooms with Gothic, Romanesque, and Baroque architecture. Its purpose was to protect the city against Tartar and Mongol attacks. The entire complex is a UNESCO World Heritage site and well worth exploring. This basilica is also a cathedral that draws lots of interest from tourists due to its impressive architecture and the panoramic views it offers from the dome. St. Stephen’s Basilica is the largest cathedral in the city of Budapest and it was dedicated to the first king of Hungary. Some of the city’s most sacred treasures and artifacts are housed here, including the mummified right hand of Saint Stephen. The Parliament Building is the 3rd largest in the world and home to the Hungarian crown jewels. This Neo-Gothic building was opened in 1886 and comprises 691 rooms as well as amazing 19-kilometre long hallways and staircases. A long trail of iron footwear can be seen along this promenade, representing the thousands of Jews who were executed during the 2nd World War. Almost 80,000 Jews were deported from Hungary to the Austrian border and some were shot to death along the banks of the Danube. Before they were brutally shot and thrown into the river, the victims were forced to take their shoes off. The Millennium Monument is one of Budapest’s top attractions and a UNESCO World Heritage site. The monument was completed in 1896 and is dedicated to the Hungarian kings and heroes who fought for independence and tried to make Hungary a better place. The Central Market Hall is the oldest and largest indoor market located on the 9th district. You can buy lots of unique Hungarian souvenirs, spices, such as paprika at this market. The University Church was constructed on the same ground as a Turkish Mosque, which was never built due to the Turks moving out of the city. It has baroque style architecture as per St. Paul’s order in the 13th century. This island stretches for 2.5 km and is located in central Budapest in the middle of the Danube. Take a stroll on the promenade to see a water tower, the 13th century ruins of Dominican convent, a small zoo, and a musical fountain along the way. Margaret Island also offers restaurants, thermal spas, swimming pools, and jogging tracks. This symbolic hill offers one of the best views of the city of Budapest. Gellért Hill is a world heritage site and the famous Gellért Thermal Baths can be found at the foot of the hill. This Roman Catholic church is one of the most unique churches in Europe. All the Hungarian kings have used this church over the centuries and its slender architecture overlooks the main square. Its breathtaking interior is inspired by orientalism and the atmosphere it emits is paired with unique Neo-Gothic features that you probably won’t find in any other church. This museum was founded in 1802 and hosts exhibitions on the history, art and archaeology of Hungary. It has been collecting and preserving the historical artifacts of the Carpathian Basin since 1802. Address: 1088 Budapest, Muzeum krt, 14-16. This is a national museum in the city of Budapest and an open cultural venue for Hungarian folk traditions from different periods. The exhibitions include a huge collection of Hungarian and international folk crafts, ancient ceramics, textiles, and much more. Address: 1055 Budapest Kossuth Lajos ter 12. This interesting museum contains exhibits that are related to the communist and fascist eras in the 20th-century. It is dedicated to the war history of Hungary and also serves as a memorial to the tortured victims of these brutal regimes who were murdered in the building. Address: 1062 Budapest, Andrassy ut 60. The exhibitions in the Budapest History Museum concentrate on the violent history of the city’s 2000 years. You can visit the museum free of charge if you buy a Budapest City Card. Address: 1014 Budapest, Szent Gyorgy ter 2. This museum was opened in 1957 as the national art museum of Budapest. It is located in Buda Castle. It is located in the iconic Buda Castle and its collections cover Hungarian art, including the works of 19th and 20th century Hungarian artists who worked in France and other locations in West Europe. This is one of the largest miniature museums in the world. You can discover most of the famous sights and landmarks in Budapest through miniature models. There are over 5,000 figures with 1000 cars and 100 trains in motion through miniature towns and cities. A must-see museum for all ages. Address: 1061 Bp. Andrassy ut 12. This museum is a moving and unique place where visitors can learn about the 2nd World War and the revolution in 1956 as well as the Cold War and how it related to this top secret bunker. Address: 1012 Budapest, Lovas ut (Buda Castle). This is a contemporary art museum set in an historic building. There are modern art exhibitions held throughout the year. Address: 1146 Budapest, Dozsa Gyorgy ut 37. This is a fully renovated synagogue built in the 1920s. It serves as both a museum and a memorial for the Hungarian Jews who were killed in the Holocaust. Although its main focus is on the Jews, its exhibitions also include the torture and discrimination of gypsies, the injustices that disabled people face, and discrimination of homosexuals. Address: 1094 Budapest, Pava utca 39. This is Europe's oldest transport history collection with many vintage motorbikes and cars among its gallery. Visitors can also take a look at the old airplanes, railway carriages, learn about the history of electricity and transportation in Hungary, as well as the most important products of the country’s industry. Address: 1146 Bp. Varosligeti Korut 11. This new cultural hub is located in the Millennium Quarter and features lots of exciting events, such as classical music, jazz, opera, dance performances, and concerts for children. Address: 1095 Budapest, Komar Marcell u. 1. This museum is located at a railways station and is a workshop at the same time. It has excellent programmes for kids and parents, including children’s railway and old locomotives. Address: 1142 Budapest, Tatai u. 95. This museum can only be visited by people over the age of 18 who want to learn about the history of beer. It is located in one of the country’s most beautiful breweries. Visits are only possible by appointment. Address: 1106 Budapest, Jaszberenyi ut 7. This museum dates back to 1802 and is home to the largest natural history collections of the country. Address: 1083 Budapest, Ludovika ter 2-6. Europe’s biggest agriculture museum can be found in Vajdahunyad Castle. Its permanent exhibitions cover the history of hunting, fishing, farming, and wine making. Address: 1146 Budapest, Vajdahunyad var. Scavenger Escape Game - address: 1075 Bp. Asbóth u. 15. Real life treasure hunting adventures set in a luxurious escape room. Players are required to work together to find hidden items in a locked room within a 1 hour timeline. Exit Point - address: 7th district Bp. Akacfa u. 49. (Fogas Kert). If you like a challenge, you will love this escape room. Set in the basements of Budapest’s backstreets within a ruin bar, you will face many problem solving challenges in locked rooms. Escape House - address: 6th district Bp. Csengery u. 66. Located in the centre of Budapest, this escape-puzzler game house is designed for 2 to 6 people. The aim of the game is to escape the rooms by solving different puzzles. E-Exit Escape Game - address: 1072 Bp. Nyar u. 27. There are 4 escape rooms with different difficulty levels and themes. Locked Escape Game - address: 1061 Bp, Székely Mihály u. 4. This escape room offers the highest quality adventures. All the 7 games offer super realistic goals for an unforgettable experience. You must work in a team to solve the puzzles and all the games are in English. The Hungary capital city of Budapest is located in central Europe and shares borders with 7 other countries: Serbia, Slovenia, Austria, Romania, Croatia, Slovakia, and Ukraine. Where can I find a Budapest tourist map? Refer to our Budapest tourist attractions map. The affordability factor depends on where you will be staying and dining during your visit as Budapest prices do vary, however, accommodation, food, and museum admissions are still quite affordable, although Budapest accommodation prices have increased in recent years. For upscale restaurants and luxury hotels, for example, you will need to dig deeper in your pocket, but the good news is that Budapest offers a wide range of budget hotels and affordable restaurants. Budapest consists of two cities, Buda and Pest, which became one after they were unified. Buda in Russian means water and Pest in Slavic means oven. According to theory, Budapest means caverns. How far is Budapest City Centre from the airport? The centre of Budapest is around 25 kilometres away from the airport. What’s the easiest way to get around Budapest City? Most of the historic sites of Budapest can easily be reached on foot. There are many pedestrian areas in downtown Pest and Castle Hill so you can take a long walk and explore the sights. However, Budapest has an efficient public transportation system that is affordable for both the locals and visitors. As you take a stroll through the city, you will see trolley buses, trams, and a fast metro system. You can also reach the outer suburbs by railway trains. What is Budapest known for? Budapest boasts nearly 125 thermal springs and is home to the world’s very first wine region (from the 5th century) Tokaj. But that’s not all Budapest is known for. Budapest is famous for its ruin pubs and escape games. In fact, the escapist and illusionist, Harry Houdini, was born in this city. Where to eat cheap in Budapest? Some of the cheapest places you can eat in Budapest include Castro Bisztro at 1075, Madách Imre tér 3, where you can choose from a wide selection of traditional Hungarian dishes at around 3 euros. There are also some ruin pubs that serve cheap food, such as Szimpla Kert, one of the very best in the city. Make sure you try the cheese, sausages and Pálinka, a traditional brandy made from apricots. Street foods are also cheap with numerous stalls throughout the city. Where are the most recommended restaurants in Budapest? See our list of where to eat in Budapest. Where to drink in Budapest? See our list of ruin pubs and bars. In Budapest, tipping is widespread so it makes sense to have some coins handy. You will be expected to tip at restaurants, spas, hotels, and just about in any eatery you visit. The standard rate for a good service is 10%, and for an excellent service is 15%. However, some restaurants include a service charge of 12.5% on the total bill so you won’t need to leave an extra tip. Homosexuality is legal for both men and women in Hungary. The country has banned discrimination based on sexual orientation and every year, Budapest Pride draws a good number of LGBT people to its streets. There are lots of gay-friendly clubs, bars, restaurants, thermal baths, and saunas in Budapest. Where to go in Budapest? Refer to our list of attractions. Where to exchange money in the city of Budapest? Two exchange bureaus in Petőfi Sándor utca and Váci Str. at No. 1. and 12. One in Sas utca at No. 10-12. (Close to the Basilica). No. 2. in Kígyó utca (corne street of Váci utca). The 5th District in the Pest city centre is a quiet area with high-end hotels. If you are looking for 4 or 5-star hotels with plenty of sightseeing opportunities, then the 5th District is a good place to stay in. The 7th District is another good area in Pest as it’s centrally located with plenty of great restaurants and affordable hotels. It is within walking distance to many sightseeing locations. If you’re looking for cheap hotels in Budapest, consider staying within the 8th District. This area offers budget-friendly accommodation and is very convenient to all the clubs and bars. If you would like to stay away from the tourist trail, opt for the 9th and 13th districts in order to get a good feel for how the locals live. Both of these neighbourhoods are quite big and close to the Pest city centre. There are also holiday apartments for rent close toSzent István krt on the 13th District. In November 1873, the three cities on the Danube River, namely Buda, Pest, and Obuda, were all unified as Budapest. Is Budapest safe for solo travellers? Budapest is an ideal city for solo and female travellers. Violent crime is rare, although pickpocketing in touristy places is still rampant. Use common sense and take caution by keeping your belongings safe, just as you would in any other city. Where to buy tram tickets in Budapest? Although travelling by tram tends to take longer than metro, it still offers the most scenic views of the city, especially if you take the No.2 tram. This will take you along Castle Hill, the Danube Promenade, and over the famous bridges. Budapest has more than 25 tram lines and you can buy your ticket in advance before validating it onboard. To buy tickets, you can find automated ticket machines that are coloured orange, but you should check the timetables first as trams run between 4.30 in the morning until 10.45 in the evening on weekdays. Why is Budapest called Twin City? Historically speaking, there have been many bordering cities across the world that grew into each other’s space and lost their own identity. The same occurred in 1873 when the twin cities of Buda and Pest were merged into one and became Budapest. Beda and Pest were located at a strategic point across the river Danube and were Hungary’s main trade route. Add a touch of colour to your wardrobe by buying a traditional Hungarian shirt. Although you won’t be able to wear it every day, it is still great for attending national celebrations. Hungarian folk costumes are colourful and have beautiful embroidery designs on them. The ladies’ dresses consist of petticoats, flared skirts, and puffed sleeves. You can find these traditional costumes in many of the souvenir shops in Budapest. Hungarian dolls are famous all over the world. These delicate dolls are dressed in colourful clothes and embroidered hats. They make great souvenirs as either gifts or collectible items. Bring a traditional touch to your living room or dining room table with hand-embroidered table cloths from Budapest. You can choose from different designs and styles, with the main colour being blue in floral designs and white patterns. One of the places you can find these beautiful table cloths is at the Central Market Hall. Almost every Hungarian dish has paprika included in its ingredients. This magnificent spice gives food lots of flavour and zest. Paprika is not only colourful and tasty, but it’s also rich in antioxidants and Vitamin C. This spice is grown in Hungary and dried up before it’s sold in supermarkets and shops. You can buy the ingredients for making goulash at home from any tourist shop in Budapest or even at the airport. All the necessary spices are packed together for an ultimately tasty Hungarian stew. Where not to go in Budapest? If we compare Budapest to most other big cities in the world, we can say that it is safer for visitors. But there are some tourist traps that you should be careful about. For instance, don’t allow taxi drivers to take you to their ‘highly-recommended’ clubs as you may end up getting duped. This is because some clubs pay taxi drivers commission to lure tourists to their venue. You should also avoid the outer parts of the 7th, 8th, and 9th district and don’t walk on poorly lit streets at night. Can you use euros in Budapest? Some tourist-oriented restaurants and hotels do accept euro, but generally speaking, you won’t be able to use euros in most places. The official currency of Hungary is called the Forint so make sure you exchange your euros for their local currency. Can you buy tickets on the bus in Budapest? Yes you can, but if you are planning to travel by bus regularly, it’s best to buy a weekly ticket from the street stands and newsstands in order to save money. Is Budapest a walkable city? Yes, Budapest is extremely walkable and you can visit most of the sites on foot within a day, depending on your stamina levels. However, thanks to the fast and affordable subway system, you can reach anywhere in Budapest within a short time. The metro also connects with the main train station, Keleti, which is a stress-free way to travel to other European cities. Can I enter Budapest with a Schengen visa? Which Budapest baths are the best? Our favourite thermal spring is the Szechenyi Bath, which is Europe's largest medicinal spa and located in Pest. See our list of Budapest spa springs. Are Budapest thermal baths open all year? Yes, but it is best to check the opening times online before visiting. Some thermal baths are even open during Christmas and New Year periods. Which side is Buda and which side is Pest? The mostly flat part of the city is Pest. This territory is separated from Buda by the river Danube on the western part. This is where all the famous sights can be enjoyed including the Parliament and Heroes’ Square. On the West side of Danube, Buda can be seen on the hills. This part of the city is semi-suburban and has narrow streets that lead to the hills. To help you remember which side is which, just picture Pest as big and flat like a pancake, and Buda as bumpy. Does Budapest have a train station? Yes, it’s called Keleti Train Station. Who is the prime minister of Hungary? Viktor Orbán is the current prime minister of Hungary. The origins of Hungary can be traced back to the Celtic people who settled in the country from the 4th century BC. Around 100 AD, the Roman Empire conquered Gellért Hill and established the city of Aquincum until the Hungarians arrived a few centuries later and occupied the land. What is Budapest weather like in December? In December, there is frequent snowfall. The days are short and nights are the longest. The average daily temperature is no more than 1 degrees Celsius, the same as February. Aside from January and February, December is also the coldest month in Budapest so expect chilly weather conditions and frost. What is Budapest weather like in April? April is the spring season with mild weather and the trees in full bloom. Temperatures during the day are around 15 degrees Celsius and on average 6 degrees Celsius at nighttime. What is Budapest weather like in July? July is the hottest month of the year in Budapest and attracts lots of tourists. Since days are longer, tourists can take the opportunity to do more sightseeing. Average temperature is 21 degrees Celsius, which is the highest of the year. What is Budapest weather like in October? October in Budapest is pleasant with some sunny days as well as rain. Nights get frosty and cold, so if you want to book your Budapest holidays at this time of the year, it is best to pack jackets and sweaters. Average temperature is around 16 degrees Celsius. Where is the nearest beach to Budapest? Although Budapest doesn’t have a seashore, it is not too far from the beach. Just an hour’s drive away from the city centre, you can find an authentic beach with soft sand and beautiful palm trees. Located in Budakalász, Lupa Beach is a newly opened resort for tourists. It offers diving facilities, plunge zones, and a wakeboard centre. Can I travel to Budapest with kids? Yes. There are plenty of playgrounds all over Budapest, such as the Millenaris Park. Parents can also find kid-friendly restaurants near City Park, where a zoo, a circus, and a lake will keep the kids entertained all day. This lake is ideal for rowing and skating during the summer. What’s more, there are slides in City Park with plenty of outdoor adventures to keep your little ones entertained for hours. Is Budapest a pet-friendly city? Yes. With the highest number of pet owners per capita than any other capital city in Europe, it is safe to say that Budapest is a pet-friendly city. You will mostly see well-behaved dogs in the parks and restaurants as Hungarians take the time to train their furry friends. What’s Budapest like at Christmas? Christmas in Hungary is all about mulled wine, ice rinks, beautifully decorated streets, fairy lights, and lots of fairs. Vörösmarty Square is characterized by charity events, wooden stands, playhouses with arts and crafts for kids, and there are plenty of concerts held every day during these festive periods. Any fun things to do in Budapest in December? Yes, there are plenty of fun and exciting things to do in the city of Budapest during December. The largest outdoor spa, Széchenyi Bath, offers warm and therapeutic water in the snowfall, where you can relax in the soothing thermal water and enjoy the stunning views. Afterwards, you can take a walk in the 2nd biggest park, City Park, in the company of ducks, children, street performers, and skaters. Your winter fun doesn’t have to stop there. The recently renovated Ice Rink close to the Heroes’ Square is a must-do in December. With 12,000 square metres of space, this outdoor ice rink is the biggest in Europe with wonderful views of architectural buildings. 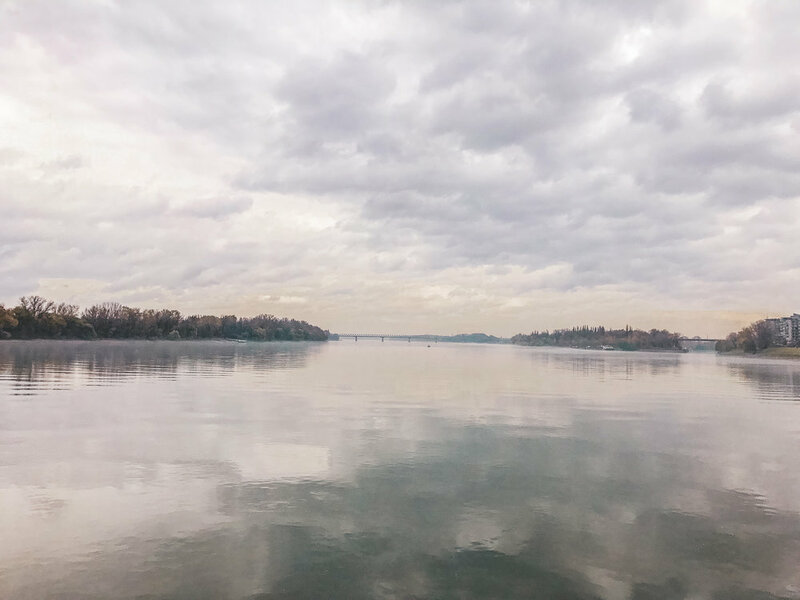 December is also a great month to cruise the river Danube. There are evening boat tours that offer even more beautiful winter sights in Budapest. As December is the month of festivities, you can enjoy a Christmas Streetcar ride through some of the city’s most scenic routes. A regular winter show to book tickets for is the famous Nutcracker at the Hungarian State Opera House. You can also visit the traditional Christmas markets and fairs at the Basilica and Vorosmarty Square. Non-stop flights from Budapest to London take around 2 hours 45 minutes. Which river is Budapest on? Danube runs along a stretch of 28 km. Are there any festivals throughout the year in Budapest? Yes, there are plenty of festivals taking place throughout the year. Take a look at the list here. Where are the best ruin bars Budapest has to offer? Szimpla Kert has to be a firm favourite amongst visitors. But there are plenty more too. (See our list). Where are the best clubs in Budapest? See our list of the best nightclubs in Budapest. Where is the best Budapest nightlife area? One of the best nightlife areas in Budapest has to be the 1st District or Castle District for those seeking a more isolated and less crowded experience. The 5th District in the Pest city centre is another great area that offers high-end wine bars, ruin bars, and vibrant clubs. It’s also a short walk from most sights in the city.